Wide Panel Floors in a variety of Wood Finishes. Set includes 8 wood color variations. I made these quite some time ago and have recently updated them. The package files have also been renamed to better identify them in your download folder. Hope you enjoy. Happy Simming. 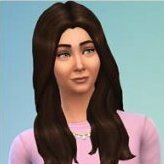 Custom Install Instructions: Extract .package files from the zip and copy to your Documents/EA Games/The Sims 2/Downloads folder. Please ensure you have the latest version of CEP installed.